Conveniently located close to Ryerson University, St Michael’s hospital, Toronto Eaton Centre, Subway, and Entertainment, Dundas Square Gardens has so much to offer. 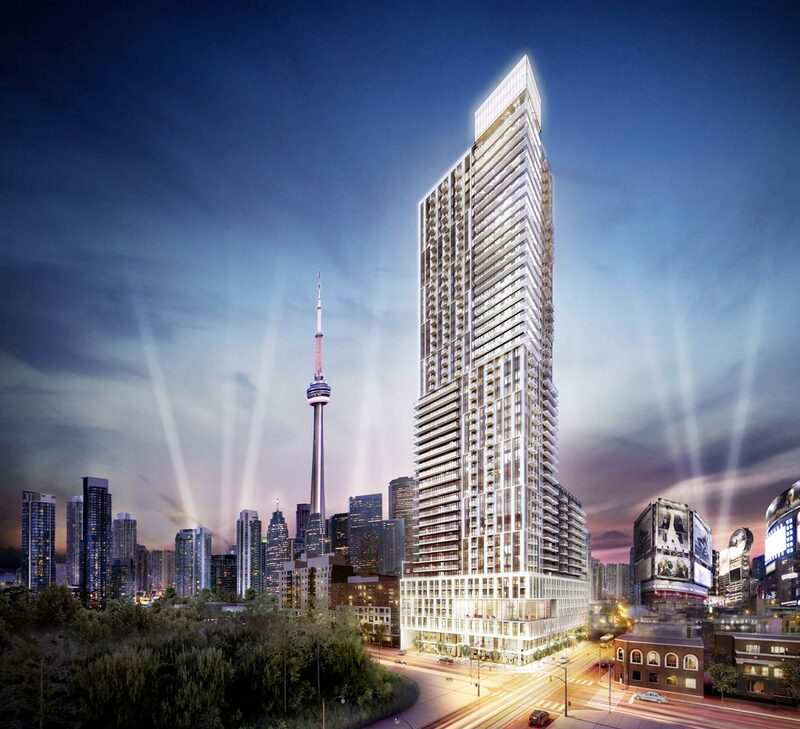 In the heart of Downtown Toronto’s most exhilarating neighbourhood, an iconic residential landmark is set to define the new standard in urban luxury living. Introducing Dundas Square Gardens. Inspired by its beautiful Garden District setting, flanked by Allen Gardens to the north, Dundas Square Gardens will soar 47 storeys tall, culminating at the top in a dramatic lantern finial that will become a beacon on Toronto’s glittering downtown skyline. Dundas Square Gardens will sit atop a unique 17-storey Garden Terrace building which will anchor the tower to the street, providing an organic connection to the vibrant Dundas and Jarvis streetscape. Five cascading rooftop terrace gardens on different floors add a fascinating texture to the tower’s profile. The result is a dynamic, changing facade that appears different from various vantage points as it responds to its urban context. Coming home to Dundas Square Gardens is an experience out of the ordinary. Floating above the streetscape on the 3rd floor, the resplendent Sky Lobby captivates you with its lavish décor and contemporary ambience. Featuring clean white porcelain flooring, full height glass walls and stylish linear fireplace, the Sky Lobby and Sky Lounge is where you and your guests are received in regal style by a courteous 24-hour Concierge.